Lyf Wind 7 smartphone was launched in August 2016. The phone comes with a 5.00-inch touchscreen display with a resolution of 720x1280 pixels at a pixel density of 294 pixels per inch (ppi). 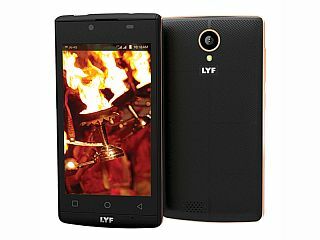 Lyf Wind 7 is powered by a 1.3GHz quad-core Qualcomm Snapdragon 210 MSM8909 processor. It comes with 2GB of RAM. The Lyf Wind 7 runs Android 5.1 and is powered by a 2,250mAh removable battery. As far as the cameras are concerned, the Lyf Wind 7 on the rear packs 8-megapixel camera. It sports a 5-megapixel camera on the front for selfies. Lyf Wind 7 based on Android 5.1 and packs 16GB of inbuilt storage that can be expanded via microSD card (up to 128GB). 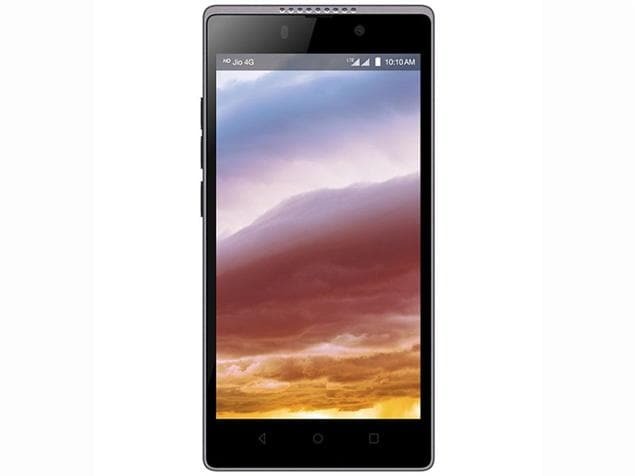 The Lyf Wind 7 is a dual-SIM (GSM and GSM) smartphone that accepts Micro-SIM and Micro-SIM cards. Connectivity options on the Lyf Wind 7 include Wi-Fi, GPS, USB OTG, FM radio, 3G, and 4G (with support for Band 40 used by some LTE networks in India). Sensors on the phone include accelerometer, ambient light sensor, gyroscope, and proximity sensor. The Lyf Wind 7 measures 143.50 x 72.00 x 8.70mm (height x width x thickness) and weighs 156.00 grams. It was launched in Black, Blue, and White colours. As of 26th April 2019, Lyf Wind 7 price in India starts at Rs. 4,990. Its a best phone at 7000/- along with Jio card which provides almost every features of phones that collect almost Rs 11k-12k from users. Lyf wind 7 is superb low budget smartphone.i have been using this phone since 24th december 2016.it's performance is superb.camera quality is very good.net speed is super. No heating problem.battery goes 6to7 hours at continues net uses.in standby mood in whole night it drains only 2to3 percentage.I like to give 5 stars out of 5 stars.